The pediatric hospitalist team at the American Family Children's Hospital provides comprehensive consistent pediatric care that is patient and family centered, culturally competent and coordinated. We care for patients with conditions ranging from single, common problems such as neonatal fever, pneumonia or dehydration to children with multiple complex conditions. We work collaboratively with patients, families and nurses during our daily Family-Centered Rounds to develop a plan of care. We also help coordinate the care of our patients with our pediatric medical and surgical specialists. Our interdisciplinary team also includes physicians, nurses, pharmacists, child life specialists, dieticians, social workers, psychologists, care coordinators and respiratory, occupational, physical and speech therapists. In addition, we update each patient's primary care physician regularly and at the time of discharge. 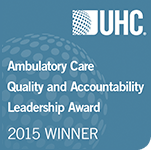 Our team is at the forefront in improving children's inpatient care by optimizing communication, actively participating to improve hospital processes and systems and striving to ensure that AFCH provides the safest and highest quality care.